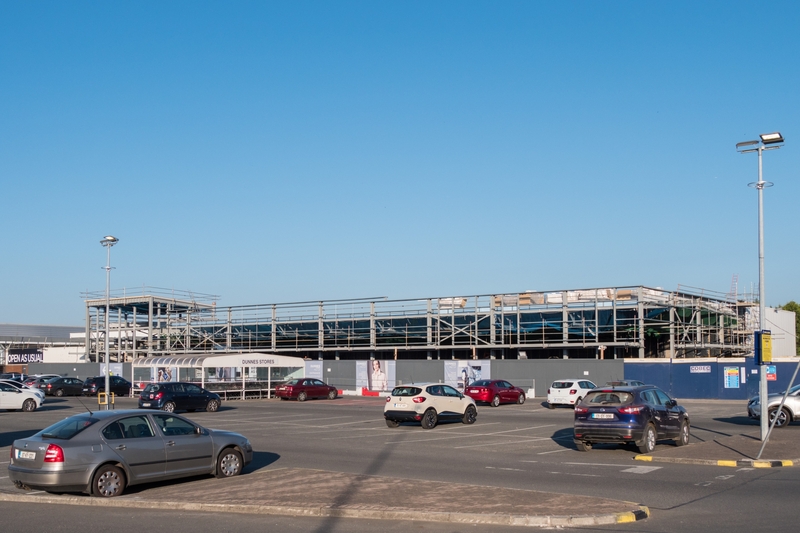 Work is progressing on a major multi-million euro revamp at Dunnes Stores on the Moorefield Road in Newbridge. Giant scaffolding has been erected at the front of the building jutting out into the car park but the store remains open. The toilets have been moved to portable units set up to the lefthand side of the entrance. The cafe is now located inside the store. A local business man highlighted the council Transport Department’s concerns that the wall would ” endanger public safety by reason of a traffic hazard”.